Never squat, deadlift or reach for massive powerlifting goals without first strapping on a genuine leather workout belt for support. It doesn’t matter if you’re a two-time CrossFit champion or a guy strolling into the gym for the first time in your life, supporting your lower back is essential to your core strength and your ability to remain physically healthy. 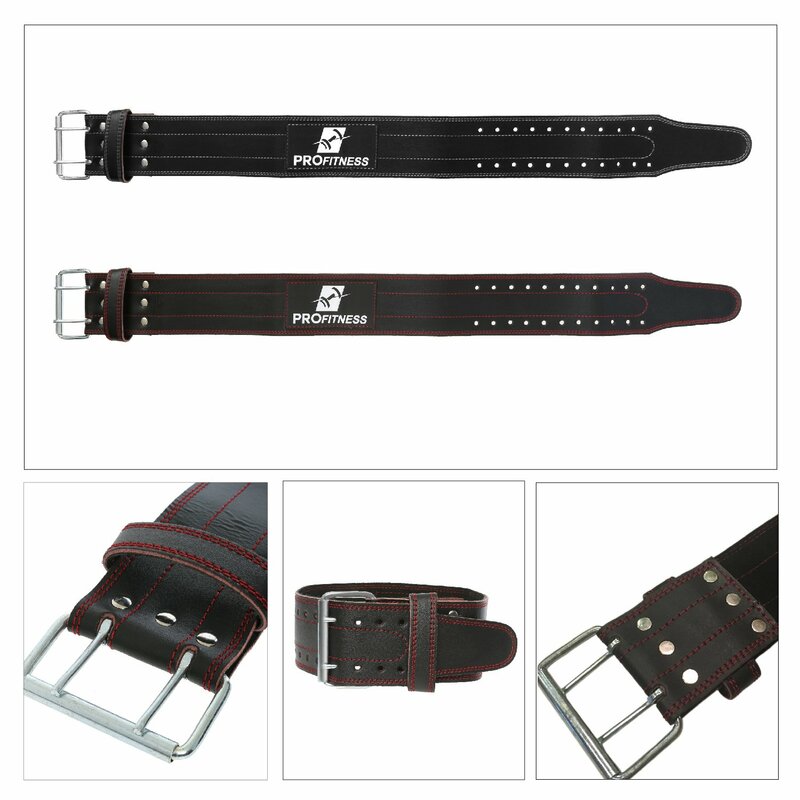 That’s why you need a Genuine Leather Weightlifting Belt from ProFitness. Made from premium-grade leather, our workout belt won’t stretch, tear or slip while you’re working out; no matter how much weight you throw up. In fact, this heavy duty fitness belt features an adjustable, double prong roller buckle to stay in place while you’re bending, lifting, squatting and straining. Better yet, it helps you maintain proper form and balance so you never lose sight of your goals due to injury. COMFORTABLE LEATHER – Each 4” wide genuine leather belt is comfortable, adjustable and won’t slip or “ride” while you’re performing squats, power cleans, dead lifts, or clean and jerks; just lift, gain and support your physicality. 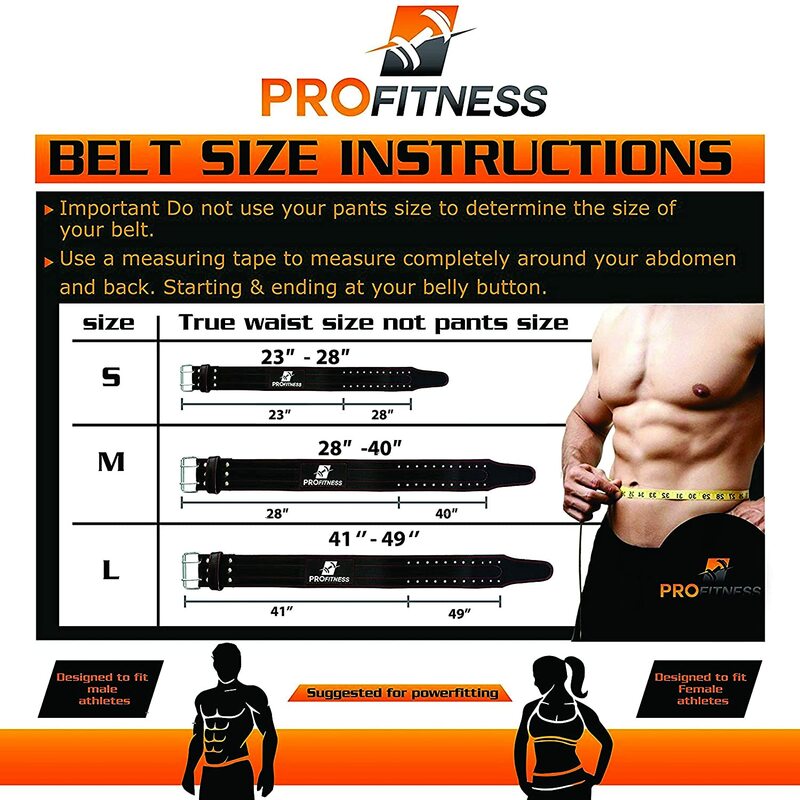 SATISFACTION GUARANTEED – ProFitness has worked hard to create the best workout belt made of genuine leather possible, however, if you don’t love it, return it with 60 days for a full, money back refund.